A rendering of the new mixed-use development on Louie B. Nunn Drive and US 27. NKU announced on Monday plans to build new amenities and medical offices on Louie B. Nunn Drive starting in mid-2018. A “town center” project will host new restaurants, retail, apartments and a hotel, as well as new parking structures and gathering spaces on the southern side of Nunn Drive near U.S. 27. In addition, a 70,000 square-foot medical office will host St. Elizabeth Healthcare and orthopedic clinic OrthoCincy, which will provide urgent, primary and specialty care as well as orthopedic services and physical therapy. The projects will be led by Fairmount Properties, a Cleveland-based mixed-use development firm. The total cost of the projects has yet to be announced. At a press conference in BB&T Arena, interim president Gerard St. Amand said the new buildings will “energize” the campus entrance and further connect campus to the surrounding community, Highland Heights. 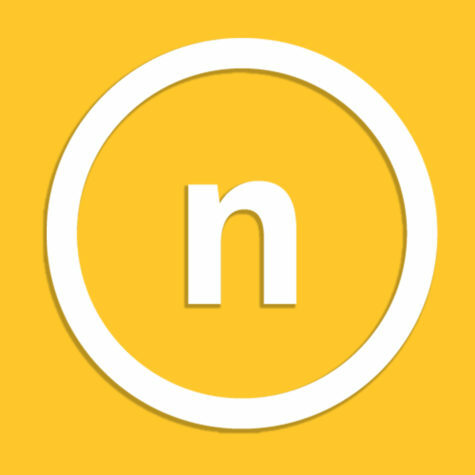 “The town center project will make NKU more welcoming and appealing to future students. It’s also an important step toward integrating our campus more fully into the life of the city NKU calls home – Highland Heights,” Amand said. Jacob Bast, St. Elizabeth Healthcare senior vice president and chief operating officer, said the partnership alongside NKU’s Health Innovation Center will fill a considerable need for healthcare in the region. “This exciting development is just one more step in St. Elizabeth’s partnership with NKU to make northern Kentucky one of the healthiest communities in America,” Bast said. 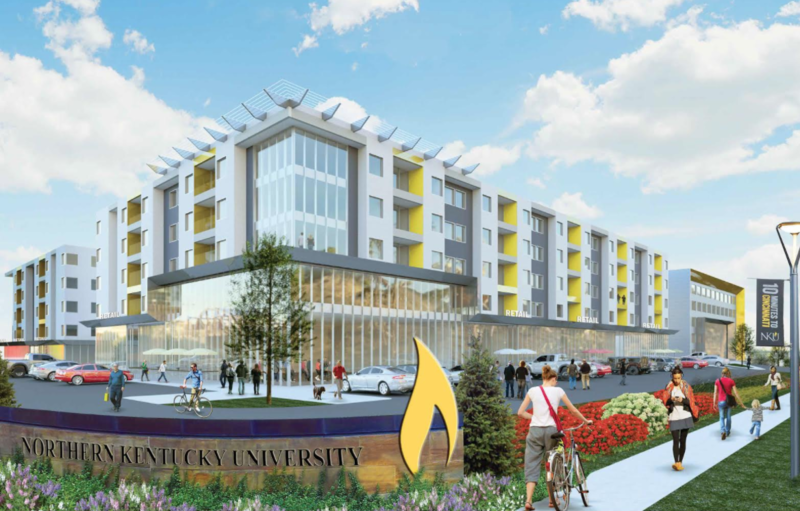 NKU expects to break ground on both projects by mid-2018, and Director of Public Relations Anna Wright said the first phase of construction could be completed in late 2019.